The annual traditional festival held in Doolin falling on the weekend of the last Friday in February is a remembrance ceremony to Micho Russell, the world-famous traditional musician. Organised by the Doolin community since 1995, it is a landmark on the traditional festival calendar as one of the earliest festivals of the year. It also hosts some of the best of traditional entertainment and attracts musicians from around the country. The Scoil Samhraidh Willie Clancy is Ireland's largest traditional music summer school, held annually since 1973 in memory of the piper Willie Clancy. During the week, nearly a thousand students from every part of the world attend daily classes taught by experts in Irish music and dance. In addition, a full program of lectures, recitals, dances and exhibitions are run by the summer school. All events are held in and near Miltown Malbay in County Clare starting on the first Saturday in July. Fleadh Nua moved to Ennis, County Clare in 1974. The festival's programme of activities include most areas of Irish culture, including educational workshops in music, song and dance, exhibitions, lectures, film shows, etc. It thus manages to cater for the tastes of the majority of the 50,000 or so patrons who attend the Fleadh each year. The Festival is based in the homely village of Feakle, East Clare, Co. Clare, Ireland. The Feakle Music Festival has it's origins within the rich array of musical talents that abound on the East Clare area. From the era of the house dance, through the Hall dances and pub sessions - a rich tradition has been maintained and strengthened thus emanating in a very successful Music Festival. The Festival started some years ago in 1988 and has gone from strength to strength. It is now respected worldwide as one of the best of it's kind in the country. 5 Days of music, song, dance with concerts, Céili's, workshops, lectures, recitals, singing and sessions. The Matchmaking Festival takes place every year during September and October in Lisdoonvarna, County Clare, Ireland. The Matchmakers of old were the dealers who attended street fairs, as it was they who know the farmers who had eligible sons and daughters around the country. 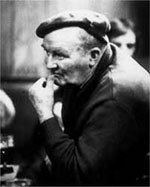 They invited the farmers from all over Ireland to attend the Festival the following September, and it was they who collected the generous dowries when the matches were made. Today there are just two matchmakers left in County Clare. 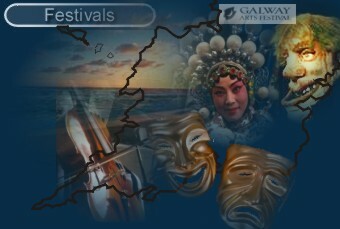 Ireland’s largest and most prestigious annual arts festival. Galway has long been considered a centre of cultural excellence with Galway Arts Festival the defining cultural expression of Galway. At the heart of all aspects of life in the city, Galway Arts Festival always promises a stunning fortnight of cultural activity and celebration. The festival features writers, artists, performers and musicians from Canada, England, France, Scotland and the USA joining those from Ireland creating theatre, spectacle, street art, music, comedy, literature and music. The Galway Races is one of the greatest Irish Racing Festivals and probably the most lavish, and sociable fixtures in the Irish Racing World Calendar. It is not only a fabulous sporting event, but also a unique social occasion filled with great atmosphere, and craic, and attracts both the racegoer and non racegoers alike. For three days and three nights Galway celebrates as guests from all over the world down oysters, Guinness & gourmet delights at the various festival events. Kicking off on Friday evening until Sunday, the pubs will host a variety of exciting and lively music to cater for every taste. Next years festival will take place at a later than usual date of 28th Sept to 1st October 2006. Weekend festival highlighting the excellent surfing and seaside resort of Spanish Point, Co. Clare with events for all the family including ‘music on the beach’, crab races, a lifeguard expo, sand sculpting and other beach activities.